A large subcategory of Home Medical Equipment is Mobility. Mobility equipment and products range from large outdoor power scooters to wooden canes. Mobility encompasses a lot of products. Every single person in need of mobility assistance will have slightly different needs. I’m going to talk about the ‘essential’ mobility products today—the products everyone should know about. Scooters are the fastest way to get around if you have mobility issues. Fastest doesn’t always mean best, but scooters excel in situations that involve a lot of walking. Powered mobility scooters are clumsy in tight spaces, like homes and apartments, but are great for things like grocery stores and open-air markets. The major ‘downside’ for scooters is their weight. Even the lightest mobility scooters weigh upwards of 70 lbs. Some newer models break down into 4 or 5 pieces for car travel, but the individual parts can still weigh up to 30 lbs. each. We have many lightweight transportable scooters in stock for rental or purchase. If you want to see just how heavy mobility scooters are, stop by our medical equipment showroom and test one out. 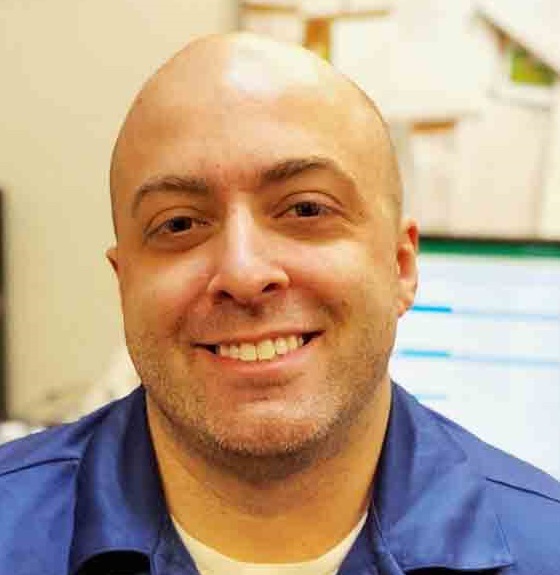 One of our certified staff members will be sure to go over every transport issue with you. And a Pro Tip from yours truly: If you really need the benefits of a mobility scooter but don’t have someone with the muscle to load/unload your scooter; call ahead. I have had many customers tell me they have no issues getting their scooter in and out of supermarkets or malls if they call the customer service desk. Give you destination a call and tell them your needs. I’m sure they’ll be willing to help. In today’s medical equipment world, walkers and rollators are almost as popular as walking canes when it comes to mobility aids. Walkers and their rolling brethren (rollators) are the most versatile mobility products, able to handle everything from severe balance issues to very tight living spaces. When I say walker, I am talking about the traditional grey walker that has been used for decades now. Most walkers, even ones made by different manufacturers look almost identical. This is because the design has proved durable, versatile and reliable over the years. Standard walkers are also light enough that anyone can take them anywhere without issues. We recommend walker skis for standard walkers—they don’t pick up all the germs tennis balls drag around and they last longer. Rollators are standard walkers on performance-enhancing drugs. These things are walkers that are made to go on longer trips (even outdoors). Rollator standards of today include 4 wheels (5”, 6” or 8”), a seat, and handbrakes. The seat and brakes are essential for longer trips. Walker users may need an extended break at any time, so being able to lock the brakes and sit down does wonders for both confidence and stamina. Rollators can handle just about any situation where a person needs assistance with walking. There are more options for wheelchairs today than you can imagine. Gone are the days of the one-size-fits-all silver steel frame with a leather seat (although we still have those!). Wheelchair innovations range from lightweight models to specialized lumbar-support models and everything in between. We have over 20 models on our medical equipment showroom floor, models we have been changing to find the best selection for the ‘average’ customer. And don’t take ‘average’ the wrong way, we want average to encompass a wide range of people. By average, we mean we can help 95% of walk-in customers with a model we have in-stock. Special needs may require a special order, but many of the brands we stock have features we can demonstrate in-store so our customers know they are ordering what they need. Transport chairs are a sub-category of wheelchairs that most people have never heard of. That being said, transport chairs are exactly what many people are looking for. Think of transport chairs as the indie rock of wheelchairs (no one has heard of them, but they are really good. No? Is my mic on?). Transport chairs are half the weight of standard wheelchairs and take away the ability for users to self-propel. Wheelchair wheels are actually really heavy, so substituting standard wheels for 8” plastic or rubber room saves a lot of excess weight. Transport chairs are my choice for short trips and ceremonies (weddings, graduations, Oswald’s gift section, etc. ), as they are easy to travel with and easy to use. We rent and sell many models of wheelchairs and transport chairs. If you have had trouble finding a large enough (or small enough) wheelchair in the past, give us a call and one of our staff members can help you get the right fit. Power lift recliners or lift chairs may not seem to fit in a ‘mobility’ category, right? The thing most people don’t realize, however, is the fact that not being able to get up from a chair makes ‘being mobile’ a huge chore. A huge upside of lift chairs is that they make getting up so easy that most users won’t think twice about getting up to clean the house or go to the bathroom. If getting out of a chair is a huge struggle, mobility is going to decrease very quickly. Why put all that effort into getting up if you just need to do one thing? Power lift recliners are also great for napping, allowing users to nap comfortably during the day without going all the way to the bedroom (especially in two-story houses). Many lift chairs even have specialized sleep and zero-gravity modes for super comfy napping. 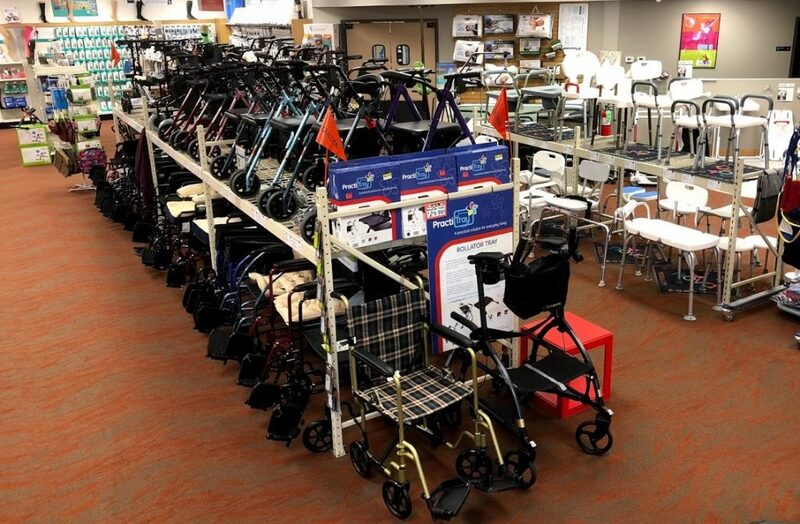 We have over 2 dozen lift chair models on our medical equipment showroom floor for you to test out. We also rent power lift recliners on a weekly or monthly basis. Last, but certainly not least are canes and crutches. Canes have been used since time immemorial; it’s a walking stick—a stick that helps you walk. As the design for canes has been set in stone (probably literally) for centuries now, purchasing a cane is all about comfort and style. All of the aluminum canes we sell are adjustable, so one of our team members can get your favorite cane design set just right for your height. We sell traditional wood canes that can be cut to your height as well. Like I said—if you need a cane just pick the pattern you like best and pair it with the hand grip that is the most comfortable, we’ll do the rest. Traditional crutches are still available for purchase, although we usually suggest a slightly better option for those looking for a quick, comfortable recovery period. I can’t mention crutches and canes without plugging a category that can help you avoid using more mobility products: Bathroom Safety! Grab bars can be a life save in the shower or a tile floor. If you need a solution for any bathroom (or kitchen) problems, you need to check out what we have available. Our medical equipment showroom is open 7 days a week and always staffed by certified team members. If you have any questions about this list of essential mobility items and which ones would best fit your needs, give us a call or shoot us an email. This list is by no means totally comprehensive, but it is a list of the product categories that help the majority of our customers. If you have special needs, don’t hesitate to call us and talk to one of our sales representatives.